Free trials are a great way to entice potential new customers to give your network a try. There is no charge for using the tool and it can pay off in terms of growing revenue for your site. We've found that about 2/3 of people who sign up for a free trial convert into paying customers. What's The Best Length For My Free Trial? You have the option to set your free trial length for 3, 7, 14, or 30 days. We've found that 7 and 30 day free trials tend to perform the best. Depending on how frequently you add new videos to your site and the genre of content you're producing, different lengths may work better for your network. We've noticed that 30 day free trials do really well with entertainment networks that are releasing new features and episodes for series on a regular basis. 7 day free trials are excellent for faith, fitness, and instructional based networks with 14 days as a close second. If you don't add new content frequently a shorter day option is better. Ideally, you want to make sure that people aren't burning through the majority of your content before their trial is up. What about my Branded Apps? If you have branded apps from Vimeo OTT, each platform has their own rules around free trials. iOS and Roku allow you to have the same free trial lengths as Vimeo OTT. 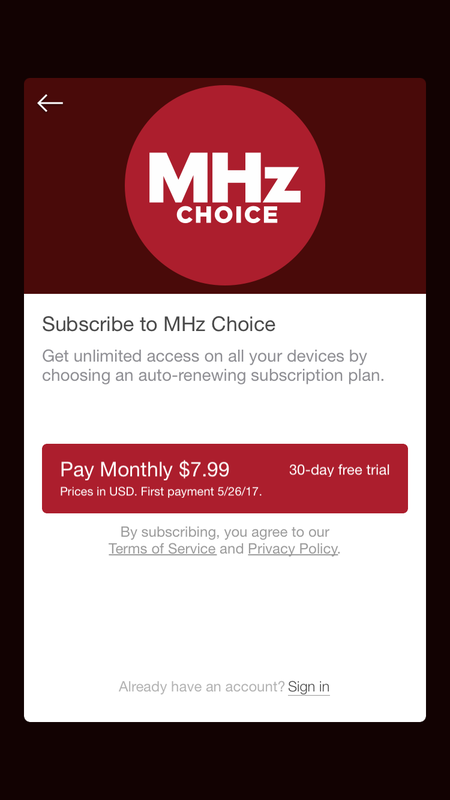 For Android, if you're offering a yearly subscription option, the free trial has to be set for a minimum of seven days. You can set different free trial lengths on monthly and yearly subscriptions on all of these platforms, however, we've found being consistent is the best strategy. It's best to set your free trial at the same length regardless if someone is considering paying monthly or annually. It's also smart to make sure your free trial length is consistent across all of your platforms.